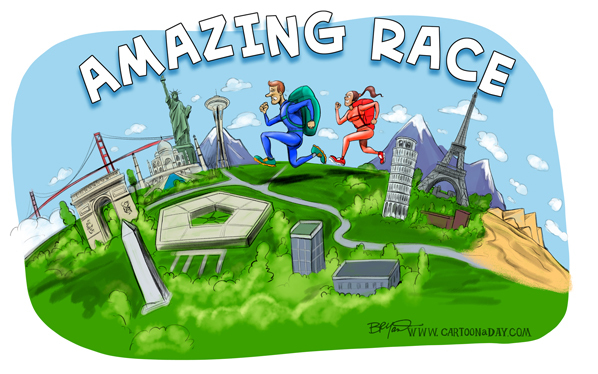 Have you heard of the Amazing Race? 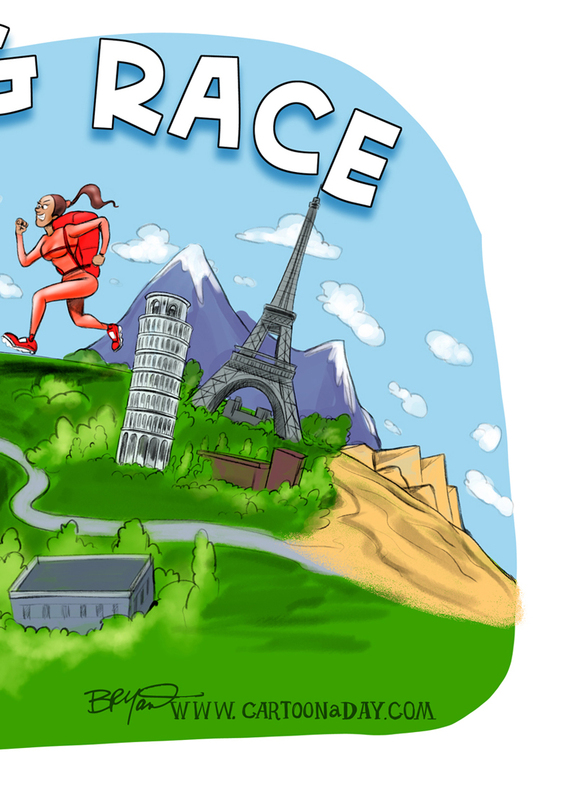 It’s the reality TV show where couples, or a duo at least, are sent around the world, racing from clue to clue to solve puzzles, overcome obstacles and be the first across a finish line. Apparently it’s in it’s 28th season (remarkable). 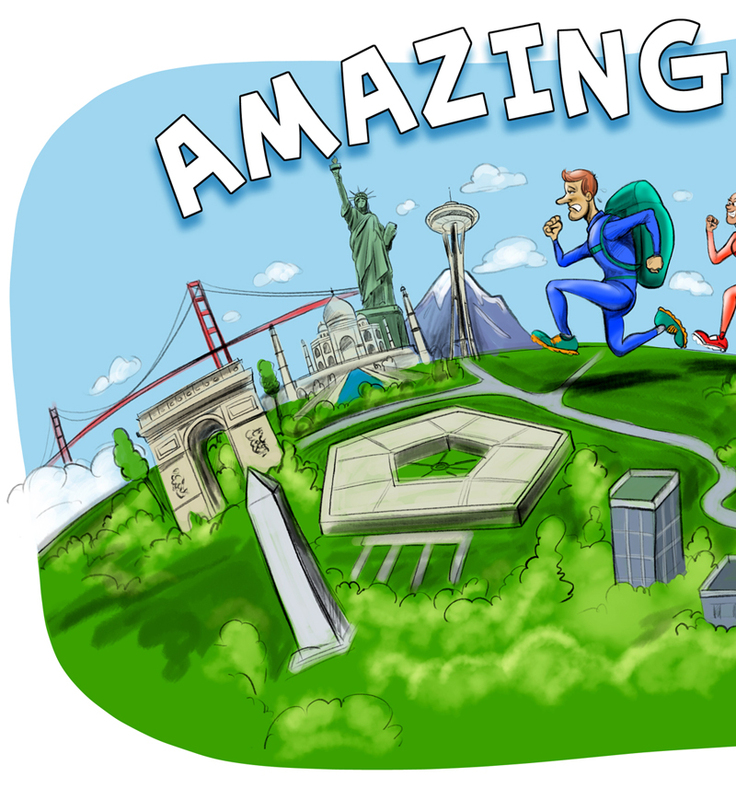 My doodle for today features a racing couple, along with world landmarks such as: The golden Gate Bridge, The Taj Mahal, The Arc de Triomphe, The Pentagon, The Leaning Tower of Pisa, The Statue of Liberty, The Space Needle, The Washington Monument, The Eiffel Tower and the Great Pyramids.